Scientists have concluded that cancer "is purely man-made" after finding almost no trace of disease in Egyptian mummies. Author Fiona Macrae discusses some of the scientific findings: "Tumours were rare until recent times when pollution and poor diet became issues, the review of mummies, fossils and classical literature found. A greater understanding of its origins could lead to treatments for the disease, which claims more than 150,000 lives a year in the UK." Michael Zimmerman, a visiting professor at Manchester University, said: "In an ancient society lacking surgical intervention, evidence of cancer should remain in all cases. 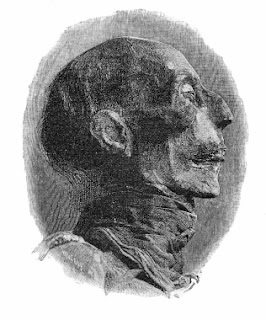 The virtual absence of malignancies in mummies must be interpreted as indicating their rarity in antiquity, indicating that cancer-causing factors are limited to societies affected by modern industrialisation." "In industrialised societies, cancer is second only to cardiovascular disease as a cause of death. But in ancient times, it was extremely rare," said Professor David, who presented the findings to Professor Mike Richards, the UK's cancer tsar and other oncologists at a conference earlier this year. "There is nothing in the natural environment that can cause cancer. So it has to be a man-made disease, down to pollution and changes to our diet and lifestyle." In 1949, Linus Pauling, the founding father of molecular biology, and author of Vitamin C and the Common Cold, Cancer and Vitamin C and How to Live Longer and Feel Better, made public his theory that the origin of disease is based on specific changes in genetic materials due to environmental influences, which in turn modify physiological function. In addition to an increase in environmental toxins and chemicals found in our polluted air and water, each year the FDA approves more and more chemicals for use in foods. These chemicals increase shelf life, kill bacteria, improve taste, replace fats, replace carbohydrates, and replace protein. The main goal of food is to supply our bodies with a natural healing capacity through nutrient rich sources. However, many of us now eat chemicals for our nourishment instead of vital macronutrients. To our food suppliers, profit is the key factor in food production. Unfortunately, for the consumer of these fancy foods, food additives are often neurotoxic and/or carcinogenic. Thousands of the processed foods on the market are loaded with synthetic chemicals, which inside your body overload your organs of elimination. These chemicals are then stored in your cells, where they cause damage. Where the chemicals are stored is different in every individual. This is why one person might end up with cancer and another with irritable bowel. Processed meats – Full of synthetic chemicals that weaken our bodies creating toxicity and a demand for extra nutrients just to cope. Lead, aluminum, and mercury are used in conventional processing. Pasteurized dairy - There is also evidence that pasteurized dairy consumption causes immune-system reactions that trigger arthritis, atherosclerosis, type I diabetes, and increased risk for cancer. Sugar and unnatural sugar alternatives – Too much causes the digestive tract to slow down and creates an overly acid body that can lead to chronic heart burn and the wearing down of all body systems. The more sugar you eat, the more nutrients are required to keep your body in balance! Refined or denatured foods – Protein powders, high fructose corn syrup, hydrogenated oils, and white flour. MSG or monosodium glutamate – This increases your chance of obesity and can permanently shift neural mechanisms in your brain that will alter mood. Table salt – Strains your body due to being highly refined by drying at over 1,200 degrees Fahrenheit. This changes its chemical structure and strips all nutrients. It is important to realize that all diseases have their root in toxicity and cellular malnutrition! The above food facts are not meant to scare. Rather, they touch on the simple reality that eating healthy, non-toxic foods will assist our bodies to be able to fight disease naturally instead of creating an environment that leads to disease. Dietary changes and detoxification are two main focuses of the Optimal Health Network. Colon cleansing, along with diet and lifestyle changes, will assist your body in eliminating stored toxins and can be a valuable tool in optimizing health and well-being.